“It is time Tarun Gogoi should take retirement from all forms of politics"
Founder President of All Cachar, Karimganj, Hailakandi, Students Association (ACKHSA), Pradip Dutta Roy on Friday called a seasoned politician, Tarun Gogoi, as an ‘accidental Chief Minister’. Addressing the media at his residence, he said this in view of the former CM, Tarun Gogoi’s staunch reservations on giving Dr Bhupen Hazarika the Bharat Ratna. 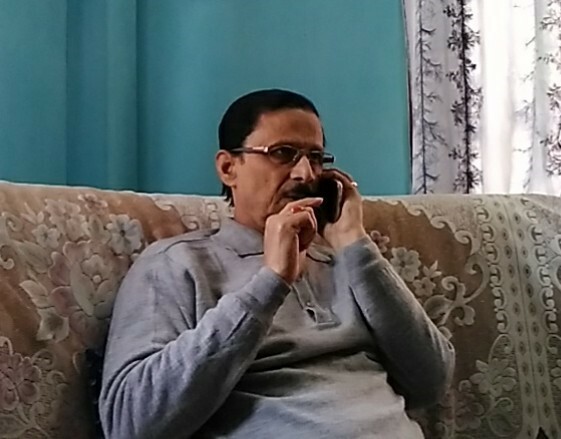 Pradip Dutta Roy at his residence, calls Tarun Gogoi an Accidental Chief Minister. Image: Northeast Now. “But, I strongly condemn the opposition to Bharat Ratna being given to Bhupenda by Leader of the Opposition, Mallikarjun Kharge, and former Chief Minister of Assam, Tarun Gogoi. It’s a shame that Mallikarjun Kharge has cited him as just a ‘musician’ while, Tarun Gogoi, has objections, terming him as a BJP candidate who once fought elections”, said Dutta Roy. 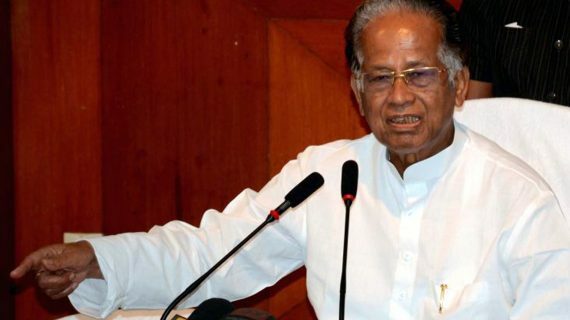 Former ACKHSA President also speaking to this correspondent said, “It is time Tarun Gogoi should take retirement from all forms of politics, for his only task now is to wake up in the morning and ‘lambast’, Chief Minister of Assam, Sarbananda Sonowal, and Finance Minister, Himanta Biswa Sarma. On another issue, Pradip Dutta Roy also gave some fuel to the fire that never took off in the first place. Citing, four school cricketers from Silchar being allegedly manhandled in a selection camp in Guwahati on 24th of January, last, owing to a false media report doing the rounds for the past two days, Dutta Roy said, “The Chief Minister of Assam, Sarbananda Sonowal should enquire into the whole matter. The Chief Minister has visited Barak Valley 16 times in less than three years and is striving hard for building bridges between these two valleys.